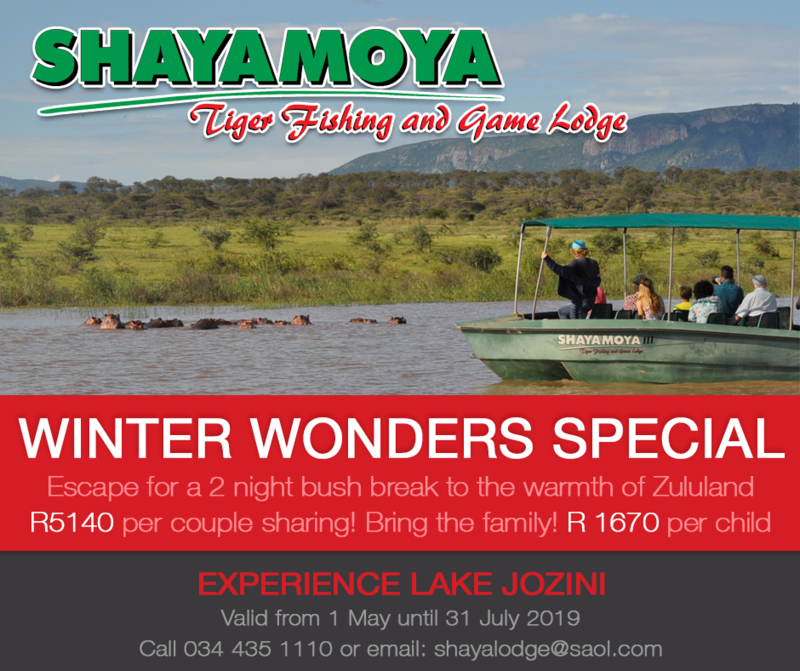 Experience how the breeze cools you as it blows gently off the great lake up the ridge or join us for one of our speciality Tiger Fishing excursions where the thrill of fighting one of these rare ferocious game fish is simply invigorating. A truly unique bush lodge in Northern KwaZulu Natal where the view from the spectacular setting is particularly breath-taking as you gaze out onto Lake Jozini, the Lebombo Mountains and the Pongola Game Reserves. 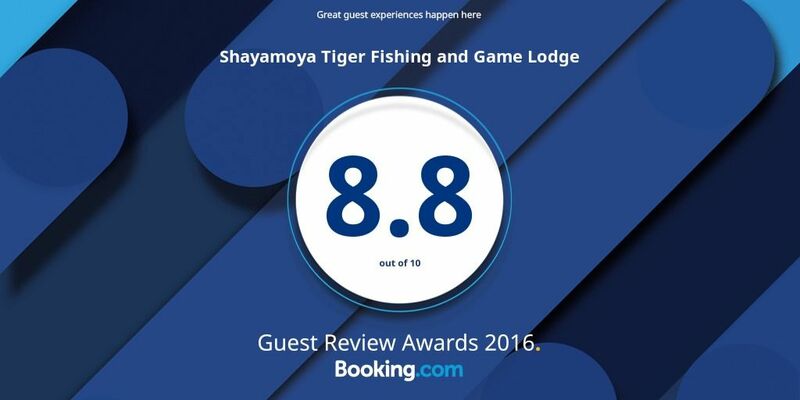 There is so much to see and do at Shayamoya Tiger Fishing & Game Lodge, we highly recommend booking a 2 night stay. Bring your friends and enjoy a relaxing weekend with great hospitality in nature with some tiger fishing and game viewing. A 2 night stay in luxury bush chalets, for 2 couples. And either a game drive or a boat cruise where you can expect to see members of the Big 5. During your spare time, relax at the pool, book a relaxing massage in the sanctuary or nail therapy, or explore the area which has much to offer. Too much to see and do or just needing to stretch the rest? Extend your stay! Should you wish to stay another night, R2450 / couple. Children R1575 each for the 2 night package. Additional night @ R725 / child. Valid from 10 January until 16 December 2018. Snuggle up a chalet with your private deck casting over the most magnificent view of Rivers, Lakes and Mountains. En-suite bathroom and outdoor enclosed shower, limited WIFI. The Bundu Pot restaurant offers a full English breakfast and home roasted granola. Dinners are the chef’s choice 3 course menu and a braai evening around the cracking fire. Enjoy either a game drive or a boat cruise where you can expect to see rhino, buffalo and elephant. The spectacular indigenous garden with over 60 species of aloes and succulents, is in full Winter bloom attracting an array of sunbirds to the decks. 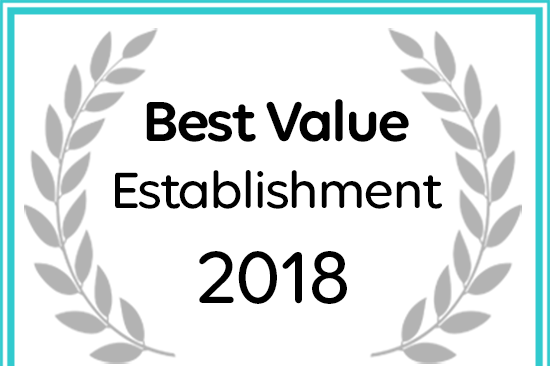 Shayamoya Tiger Fishing & Game Lodge received a 2018 Best Value Accommodation Award. A self-catering, private bush camp on the Shayamoya Reserve with a stunning setting under the big Tamboti and Marula trees. Hi to all recent guests! We would love to put your photos on our gallery. Send us your pictures : shayalodge@saol.com. Please include the following details for fishing pictures: size of fish, angler and date of catch.